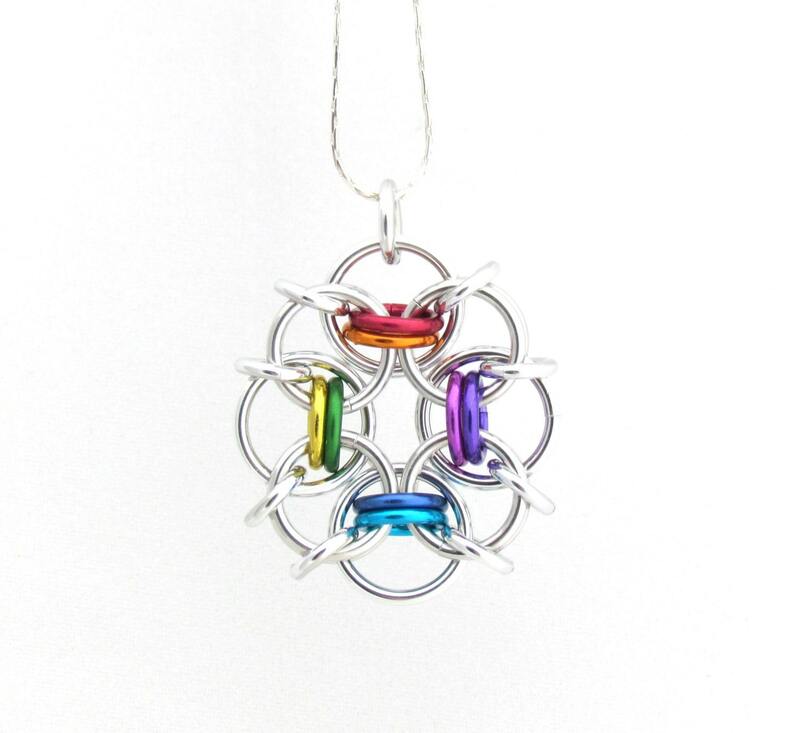 This is a bright and colorful rainbow pendant. This multicolor pendant is a piece of jump ring jewelry, also known as chain maille jewelry. This small chain maille pendant is made out of anodized aluminum jump rings in bright red, orange, yellow, green turquoise, blue, purple, and violet, as well as shiny plain aluminum jump rings. It measures approximately 1 1/4 inches from top to bottom (including the jump ring used as a bail), by 1 inch across.